Using Online Services to Draft your Legal Documents: What They Don’t Want You to Know. When a consumer signs on to a legal document drafting service or hires a non-attorney document preparer to create legal documents, the consumer often fails to realize that there is still an attorney in the equation. The client becomes the attorney. 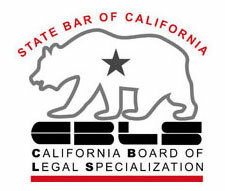 Although the law has long held that any person is entitled to act as his or her own attorney in all legal matters, the law has also long held that a client who acts as his or her own attorney will be held to the same standards of competence and skill as any licensed professional lawyer. What this means is that a person who makes an error in drafting a contract, or a trust, or a corporation doesn’t get cut any slack—if the document becomes the subject of litigation, the drafter won’t get any extra leeway simply because he or she is not a professional attorney. 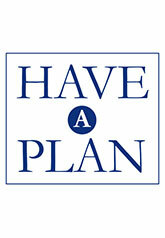 A prospective client recently came to my office to discuss setting up an estate plan. She had been divorced some years earlier and had struggled financially ever since. As we talked, she let me know that she had not received any spousal support or child support from her ex-husband, even though he had been the primary wage earner in the marriage for decades and she had foregone her career to stay home and raise the couple’s children. When I asked how this could have happened, she revealed that she and her husband, in an effort to “save money,” had gone to a document preparer to put their divorce papers together. Then they had filed together and gone through the process. It was not until the divorce was final that the wife discovered that she had signed her rights to spousal support away. She had complained to her husband, but he told her that it was final and there was nothing she could do about it. Instead of hiring an attorney to undo the damage his duplicity had done, she gave up. By the time I met her, she had been scraping by for several years, trying to make ends meet with a part-time job. Another client brought me a trust he and his wife had drafted through one of the popular online legal services. He told me that they had followed all the instructions “to a tee” and had been given complete documents that would help keep his estate out of probate. As I reviewed the documents, I was horrified to discover that not only would the trust not do what the client thought it would, but, in fact, it did the opposite. The trust, as drafted, actually disinherited both spouses and tossed their assets into their probate estates. I have seen this numerous times. I have seen clients inadvertently disinherit their spouses. I have seen clients unintentionally disinherit their kids. In every case, the client thought they had followed the online service’s directions exactly. However, at the end they wound up with documents that didn’t accomplish their goals. It makes me wonder how many people are out there with incorrect documents that won’t discover this fact until 1) they need them most and 2) it’s too late to do much of anything about them. Individuals, families, and business owners who go online or seek document preparers to draft their trusts, corporations, LLCs, court pleadings, and other critical documents often don’t do themselves any favors. One of the reasons a client goes to a professional is to make sure the documents they receive are bulletproof—that they’ll do what they are supposed to do when they are needed the most. Saving a few dollars by removing the attorney from the process is false economy. Most people wouldn’t try to perform their own surgery or rebuild their own transmission. It is amazing that so many of these same people think that it’s a good idea to take a shot at serving as their own attorneys. To learn more about why working with a qualified, experienced attorney will ensure your legal matters are addressed properly, please contact Mr. David R. Morris at (916) 789-9810.